The little figure is adorable. The Action Figure is perfect for anyone who is really into Harry Potter. The lovely head can turn, which gives the Action Figure a certain value of enjoying and playing. Funko hits a pop culture nerve with the little Figure Model. 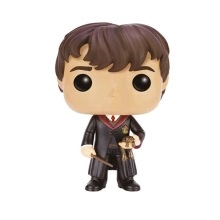 From the hit movie Harry Potter: Neville Longbottom.